Long lazy lunches, purple fields of lavender, hazy southern skies… nothing says like the utterance of the word Provence. Packed with some of the best Roman architecture in France, the region dates back even further with the busy port of Marseille, established in 600BC by the ancient Greeks and today France’s second most populous city. Provence is, in historical terms at least, much older than France and didn’t even become French until 1486. Fought over for centuries, the region’s culture here is profoundly more Mediterranean and you may even find your French doesn’t go quite so far. The local dialect, Provençal, is more akin to Italian and Catalan than it is to the national language, and many towns and cities have dual street signage. Provence’s population is concentrated largely on the coastal strip and in the Rhone valley. Head into the hills and the mountains of high Provence and there are no big cities, with even small towns few and far between. The Cote d’Azur is today renowned for its popularity among the rich and famous. Also referred to as The French Riviera, the Mediterranean coastline of France includes the glamorous resort cities of St Tropez, and Cannes. While certainly something of a millionaire’s playground, the region is nonetheless a stunning place to spend time. Nice in particular, is a fine and cultural city, full to the brim of its orginated Italian roots of pizzas and shutter-fronted villas. The 300 days of sunshine per year ensure a constant stream of visitors and the many marinas along the coast attract a huge yachting and cruising crowd. In fact, 90% of the world’s superyachts visit the region at least once in their lifetime. You can enjoy its 115 kilometres of beaches, 18 golf courses, 14 ski resorts and over 3,000 restaurants, the Cote d’Azur is all about the good life. Despite being the largest producer of wine in France, yielding more than a third of the nation’s grapes, Languedoc remains a fairly remote and wild corner of the country: its coastline is characterised by long, sandy and sparsely populated beaches. In stark contrast to the feeling of emptiness in its rural districts, the heart of Languedoc lies in its capital, the thriving, bustling Montpelier. The city exudes a youthful modern buzz within its beautiful historic centre, given a continual burst of life by its large population of students. Other major cities in the region include Nimes, Narbonne and Perpignan. Property in Languedoc comes in all shapes and sizes, taking in modern luxury villas with swimming pools and tennis courts, to rambling village houses set into the old ramparts of the region’s collection of ancient fortified towns. There’s a lot more to Rhone Alpes than its famous ski resorts. The region is a hi-tech, industrial and cultural heartland as well as an outdoor type’s dream. The dramatic canyons of the Massif Central on the region’s western flank are a hugely popular destination for rafting and hiking, while the more well-heeled flock to the north east: visitors to the resorts on the southern shores of Lake Geneva, residents to the surrounding prosperous suburbs. Head down to Rhone valley where the river twists its way from Geneva to the Mediterranean and you’ll hit upon the busy cities of Grenoble and St Etienne. 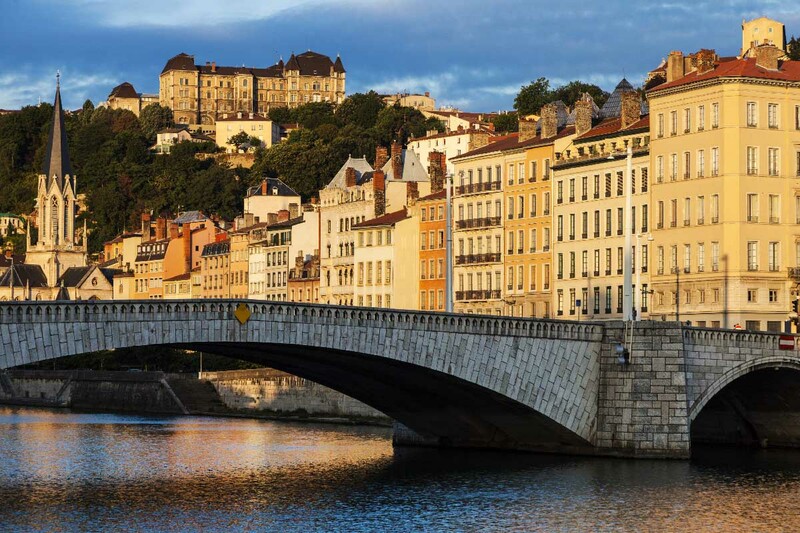 But the jewel in the region’s crown lies in its capital, Lyon. Host to Europe’s largest annual light festival, the city is a heady mix of renaissance and medieval architecture, while its foodie culture makes it a gastronomic destination in its own right. When it comes to skiing, France is one of Europe’s top destinations. The Alps and the Pays de Savoie sit on the French-Italian-Swiss border and it is here, 4,810 m (15,781 ft) above sea level, that The Alps reach their peak. The resorts of Val d’Isere and Chamonix, eternally under the gaze of Mont Blanc, attract the wealthy set. But there are alternatives to suit every budget and desire including the world’s largest single ski area, The Three Valleys, taking in the resorts of Courchevel, Méribel, Les Ménuires and Val Thorens. Large timber chalets for the ski and snowboard set are in abundance, but away from the resorts there are medieval towns on the shores of lakes that offer an authentic experience of local Alpine life. In the foothills, at Le Plateau du Vercors, you’ll find some excellent opportunities hiking and mountain biking and other outdoor pursuits.